The Italian American display of the fourth floor Special Collections Gallery highlights only a fraction of the History Center’s Italian American Collection. The Senator John Heinz History Center’s Italian American Program was founded in 1990 at the urging of the local Italian American community. The mission of the program is to document, preserve, and interpret the history and culture of Southwestern Pennsylvania’s Italian American community through exhibitions, educational programs, publications, and community outreach. Over the past 25 years, we have amassed one of the largest repositories of Italian American artifacts and archives in the United States. 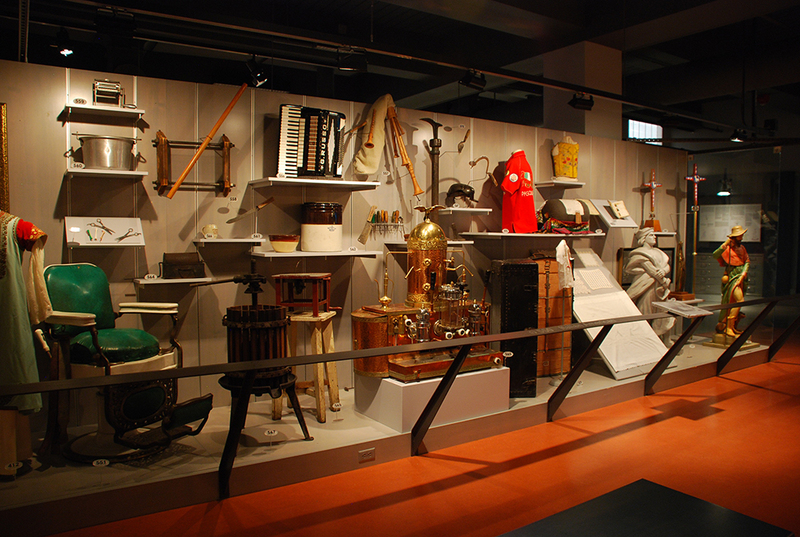 Our specialized collection houses approximately 800 objects, including textiles, utensils, tools, sculptures, housewares, and other three-dimensional items, and thousands of archival materials in the form of books, photographs, immigration materials, family papers, and records from mutual beneficial societies and fraternal organizations. 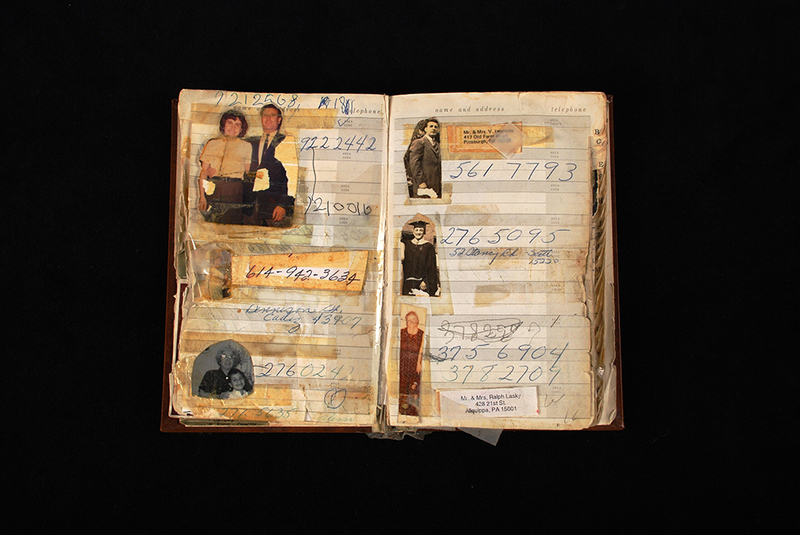 The artifact and archival collection is enhanced by more than 300 oral histories by first, second, and third generation Italian Americans, which capture the voice of the Italian American experience from the people who lived it. The History Center’s collecting scope is focused on Western Pennsylvania, not just the city of Pittsburgh, and we do our best to represent the various Italian settlements in our region, as well as the different regions of Italy that people emigrated from, within the Italian American Collection. For those who have visited the History Center, you may have seen our Italian American section in the fourth floor Special Collections Gallery. In this display, you can see how we document the Italian American community through different subjects. Several of the themes that are representative of the larger collection are the religious and spiritual life of Italian Americans, domestic life and women’s handicrafts, Italian foodways and folkways, skilled and unskilled laborers, Italian-owned businesses, and, of course, immigration. Because we have such a robust collection of Italian Americana, we rotate select artifacts every 12-18 months to showcase new acquisitions and pieces that have not been on display in a while. Address Book, c. 1960s. This brown hardcover address book was made for Vittoria Ianotta of Posta di Fibreno, Italy by her daughter Jane. Vittoria was illiterate in Italian and English, so her daughter pasted pictures in lieu of names next to the phone numbers. Gift of Jane Ferro, 96.38. Juggler’s Indian Club, c. 1950s. Joseph Pegnato of Pittsburgh, known professionally as Bobby Jule, was a juggling prodigy. 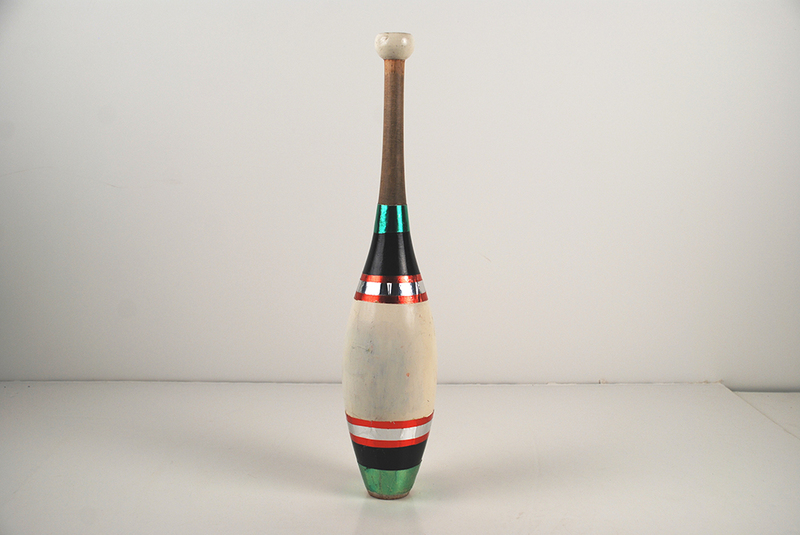 During his career, he performed in the United States, the West Indies, Europe, and Asia and appeared on the “Ed Sullivan Show.” The Indian clubs in his kit were handcrafted out of wood by Harry Lind, who was the sole manufacturer of the prop at the time. Today, Indian clubs are mass produced and made of plastic, making wooden clubs a rarity. Gift of Joseph Pegnato, 2013.31. 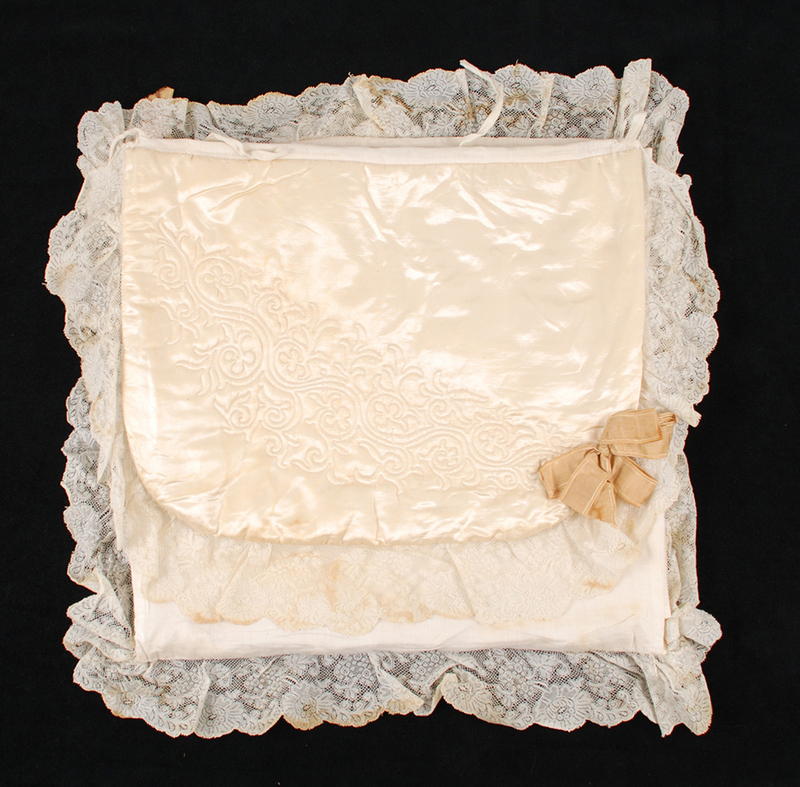 In the collection there are items that originated in Italy and traveled to the United States during the process of immigration and many that were made or purchased in Pennsylvania as a means to replace what was left behind in Italy. We have objects that one might expect to see, such as wine presses, pasta makers, miner’s tools, religious icons, and embroidered linens, and others that are more surprising, such as bagpipes (called a zampogna), juggler’s props, a model Fiat WWII tank, and an illustrated telephone book. The Italian American community is diverse. The collection represents not only Catholics, but Italian Protestants and Jews, Italians from Northern and Southern Italy, Italians that immigrated after WWII, and Italian Americans that have made their mark in a variety of professions, from barbers and coal miners to architects and executives. Pasta Roller, c. 1950s. 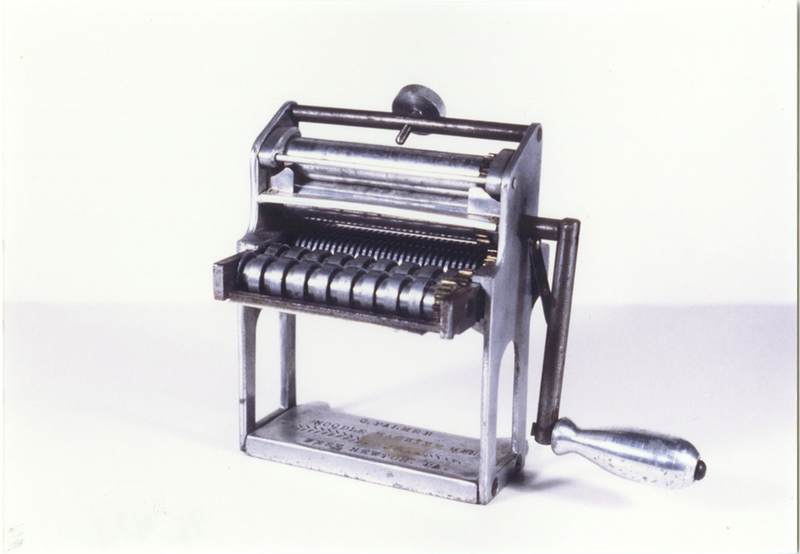 Donated by chef Rizzi DeFabo of Rizzo’s Malabar Inn, this hand-crank pasta machine belonged to his grandmother, Rosina DeFlorio of Greensburg. It was manufactured by C. Palmer Manufacturing Company, started by Carmen Palmieri, an Italian immigrant from Lettopalena, Italy in 1946. The company still operates in Westmoreland County. Gift of Rizzi DeFabo, 96.47. A common question I’m asked is, “How do I donate to the Italian American Collection?” The easiest way to begin the process is to contact me at the History Center via email memarinaro@heinzhistorycenter.org. With any potential donation, we at the museum want to know what the story of the object is – Where did it come from? Who did it belong to? What makes it unique? Ultimately, the museum’s permanent collection is a tool which allows us to tell the collective story of our region. With the Italian American Collection, we tell the story of the Italian immigrants who made Western Pennsylvania their home and the legacy of their children, grandchildren, and great-grandchildren. Whenever a potential donation is offered to the museum, we consider how that item fits into the larger collection. Sometimes it may be that an object tells a story that we haven’t heard yet or is an example of something that we do not have in the collection. Other times it might enhance the collection by filling a gap in an area that is recorded but could be better documented. If you’re interested in donating, but aren’t sure whether or not the museum might be interested, it never hurts to ask. You would be amazed at the types of objects we get excited about! As an Italian American whose ancestors immigrated to Western Pennsylvania (first to Reynoldsville, then to Butler, and now Pittsburgh), I’m always eager to hear the stories from our community. If we don’t share them with each other or make an effort to preserve them, what will we leave behind for the next generation?